Yes! We've made it through the week, lol! Thank God! 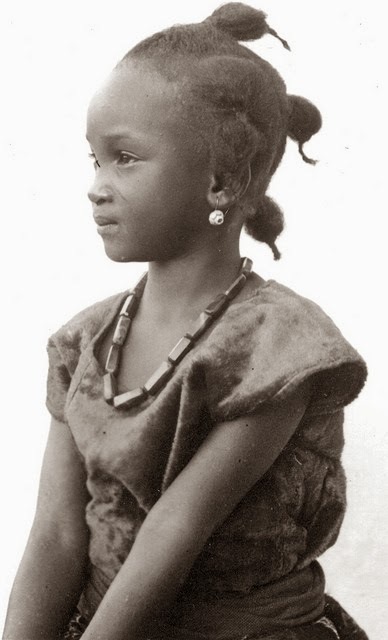 Today, I want to show you all another photo I saw on Flickr which features a little African girl with puffy braids. The photo was said to be taken around 1943 and I absolutely love it. In the photo, the little girl's hair appears to be braided softly, and then banded on the ends. The photo reminds me a lot of my grandmother. When I was a child, my grandmother used to press (hot comb) my natural hair. Because my strands were fine, my braids and twists would appear to be thin when my hair was straightened. I remember my grandmother wondering how other parents got their child's hair to puff up into thick twists and braids like the little girl's hair in the photo above. It's funny to now know that the answer was simple, but not at the time. She could have stopped straightening my hair. My grandmother could have also used the Rope Twist method where you twist the sections of hair individually before braiding or twisting them together. She knew about the method, but my hair still didn't come out the way in which she wanted it. Nonetheless, I am thankful for all of her efforts (smile). I know my grandmother would have loved the little girl's hairstyle. 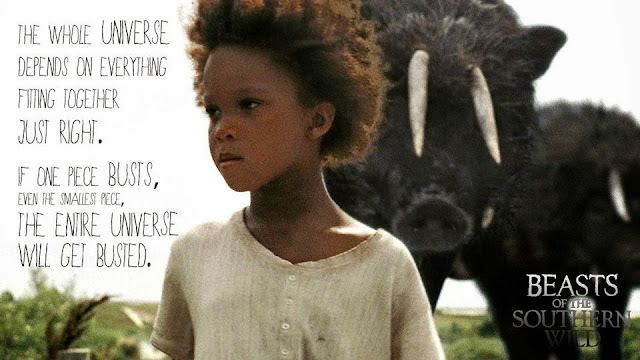 Also, the 1940s photo of the little girl reminds me of the 2012 photo of actress, Quvenzhane' Wallis from the movie, "Beasts of the Southern Wild. "Wallis' hair is also natural. Although, she gets it straightened sometimes. What are your thoughts on the 1940s photo?